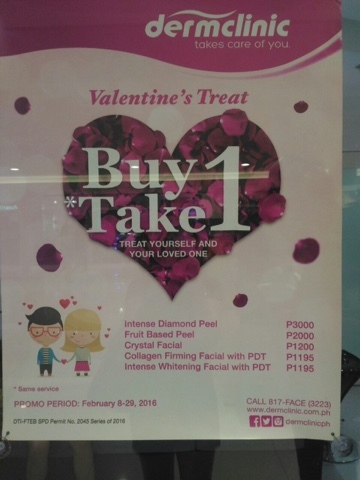 Treat Yourself and Your Loved One at Dermclinic! * | Vanity and Everything in Between. 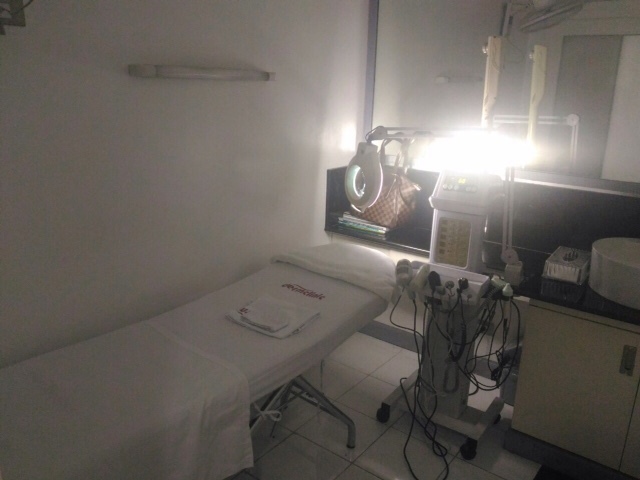 Their clinic is very clean and quiet. They have a couch and ottoman on their waiting area. Enough seats if you have company. If you're a first time customer, you'll be asked to fill up their customer information sheet so the dermatologist could recommend a new regimen for you. 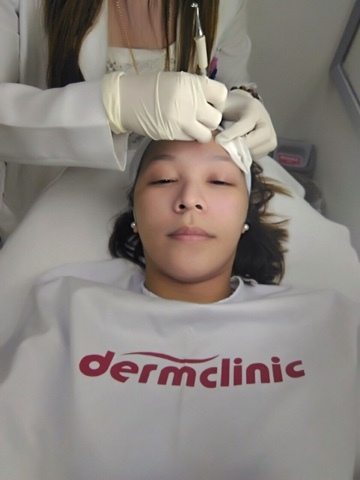 For that day, I had a personal nurse assisting me and she did the first part of facial. She brought me to this room. The room has its own sink. 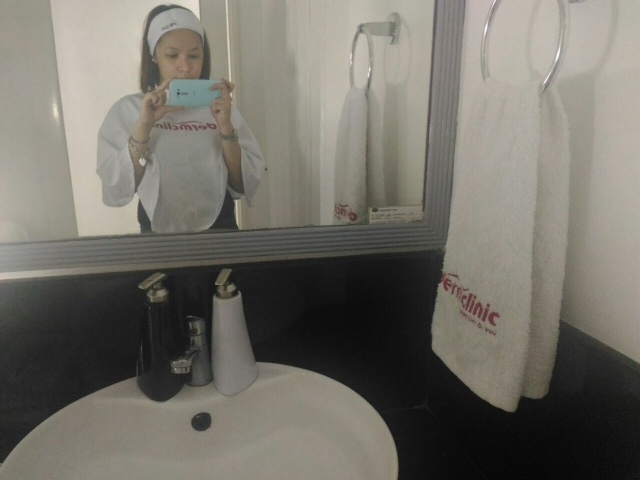 Not all dermatology clinics have sinks in private rooms. I washed my face before the facial. Several steps were done: First, Monique did brushing. She used a facial brush similar to Clarisonic. She applied cream to my face then used the brush in circular motion. She changed to a smaller brush head when she brushed my T-zone. Second was pressure point. 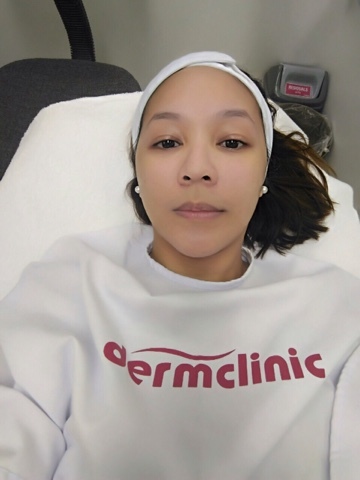 As per Monique, pressure point is vital as it help the blood circulate properly on my face. Third was massaging the face. 5h step: mask! I love facial masks! 6th step was steam but I wasn't able to take a photo of it because Monique had to cover my eyes. 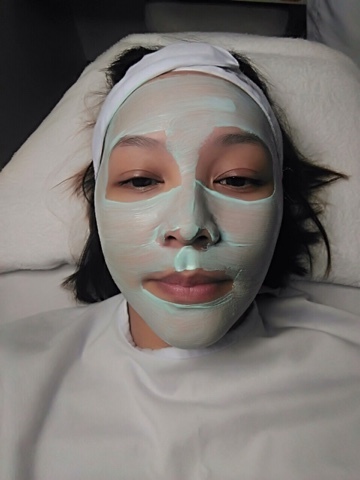 After 15 minutes of facial steam, I was transferred to another room for Intense Diamond Peel. 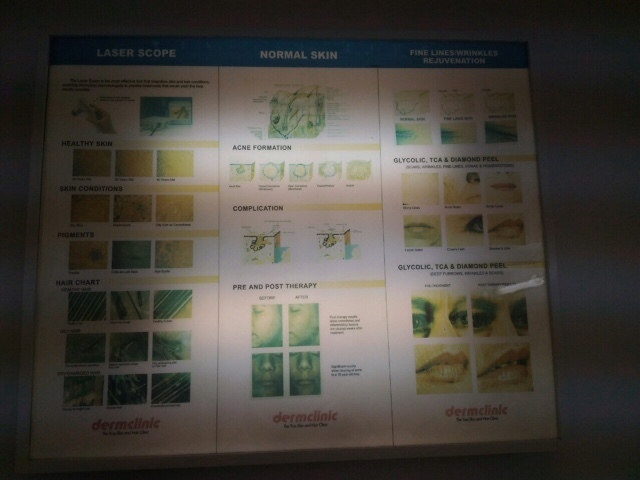 They have this guide in the room to know more about your skin. While waiting for Dra. Camacho. 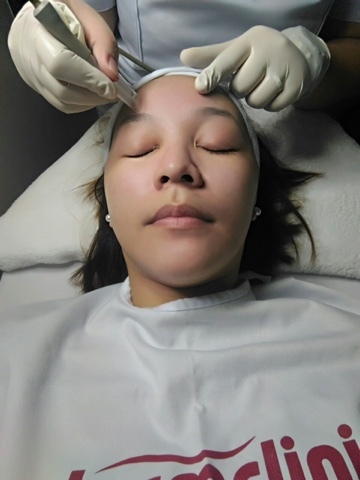 Now, for the diamond peel! Dra. 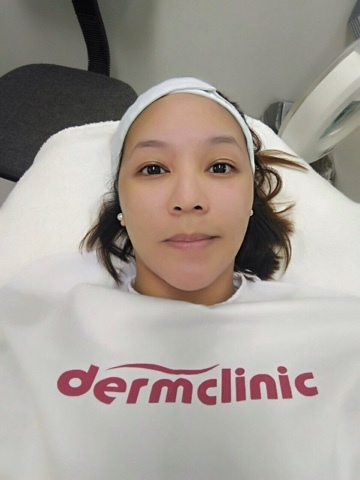 Camacho said that Intense Diamond Peel has a powdery effect thus me looking a bit made up after the service. The effect is such because it removes the dead skin on your face. I really liked my experience here. I felt very pampered and most of all, the pricking didn't hurt! I had mild pimples that Dra. Camacho pricked and even injected something on but the pain was tolerable. 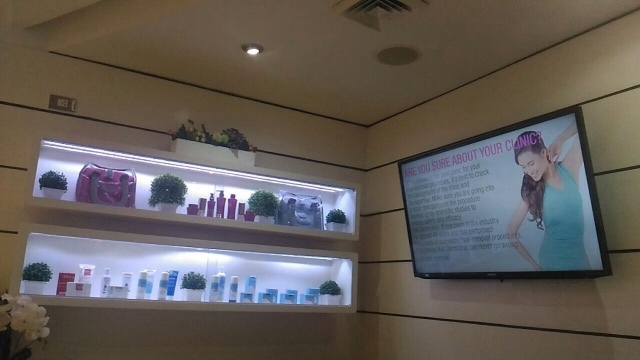 She also explained what happens to our skin and why we should take extra good care of our skin. She also gave tips like using sunblock every single day. After the service, she prescribed a new skincare regimen to me that can be easily purchased at their in-house pharmacy. 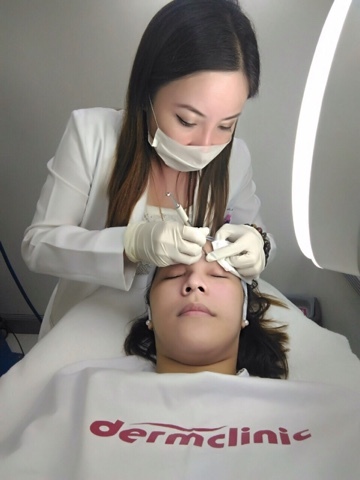 Intense Diamond Peel takes about an hour and a half. Consider it as giving your face a massage and day off. 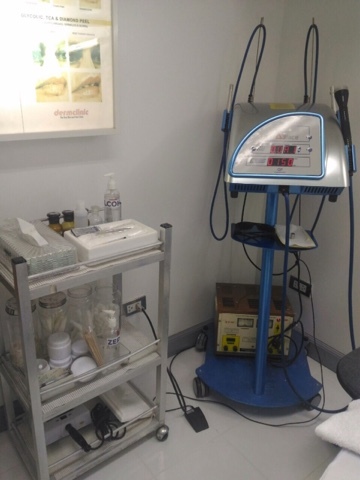 Each session costs PhP3,000 and too see full effects, you'd need at least 4 sessions. I just had my first session but I already saw an instant effect. My face turned a bit lighter! 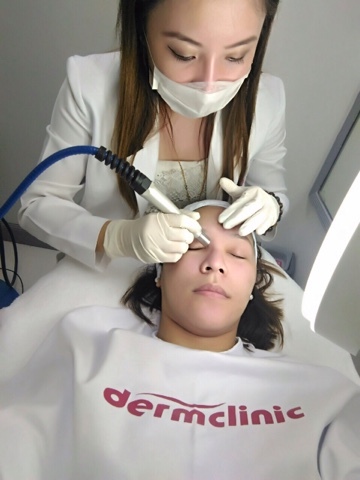 Dermclinic has clinics all over the Metro. 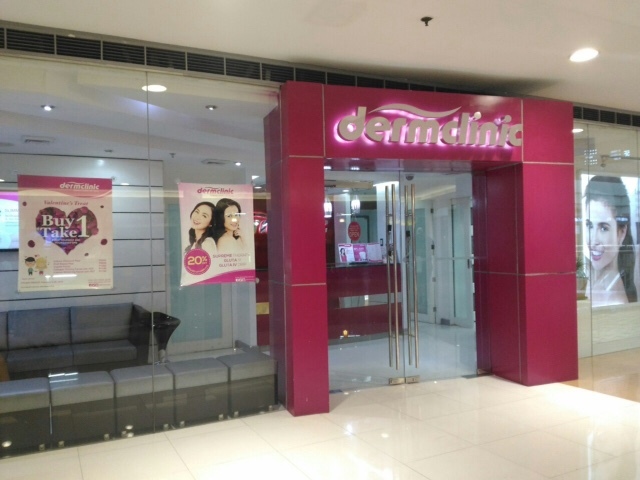 You may visit their website www.dermclinic.com.ph for a list of their branch location and complete services they offer. 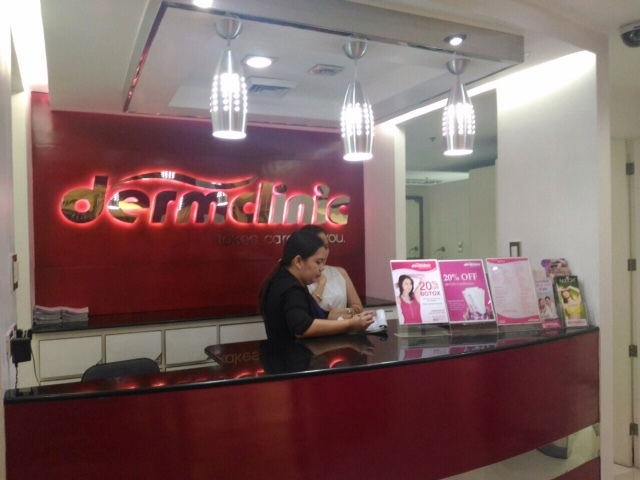 You may also follow them on Twitter and Instagram (@dermclinicph).